Writing may be an addiction. It's about being addicted to the incredible feeling that comes from helping you, my reader, improve your life. The more readers I reach, the better I feel. Writing a book only happens when there is something important that I understand and that I know you and many others don't. I want all of you to know what it is and use it to transform some part of your lives. My first challenge is to convince you that I have something really useful for you and that it will be worth your time to learn about it. So, in the very first few words, I need to intrigue you. In this book I do that by reminding you of a problem in your life that you would love to solve–in this case, how to stop feeling so anxious. Then I need to convince you that I have a useful way to help you solve that problem. What better way to do this than to tell you a story about myself and how I solved a similar problem. That also gives me a way to introduce myself and help you feel hopeful that I can actually help you. That’s what the first chapter is for. Then I need to build each succeeding chapter to fulfill my promise. 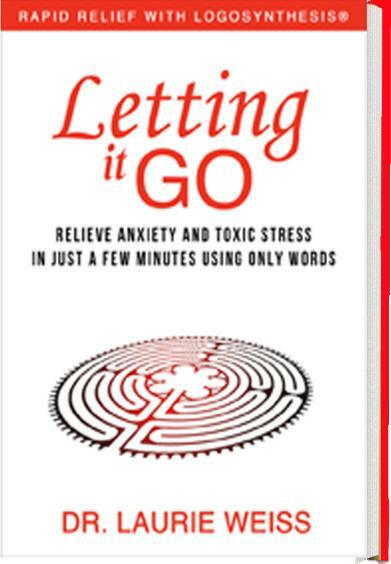 This paragraph is a comment I wrote about a passage on Page 20 of Letting It Go: Relieve Anxiety and Toxic Stress in Just a Few Minutes Using Only Words (Rapid Relief with Logosynthesis®.) You can see the passage in the book. You can also see the excerpt here. This link will take you to Bublish.com, where I regularly publish comments on parts of this book. This is a site where authors share of their work. You can subscribe to my musings, there, as well as to the musings of many other authors. It’s a great place to learn about new books and I recommend that you visit. 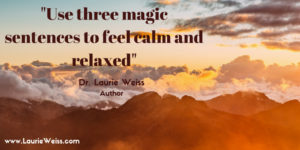 This entry was posted in Emotional Problems, Logosynthesis, Personal Growth, Self Help, Self-Improvement, Writing and tagged Emotional Problems, Forget to Worry, Limiting Beliefs, Personal Growth, Self Help, Self-Improvement, Stress. Bookmark the permalink.